Here is one of my digi images, Winnefred Whale in all her glory (from Whimsy Stamps). Doesn't she look like she wants to be your friend? She can be, and you can play with her for all of 3 US dollars! :-) She also comes with a couple of sayings too - "Whale, wha'da'ya know!" and "Hope you catch a big one!" I made this card to thank Zoe for sending me a gift. 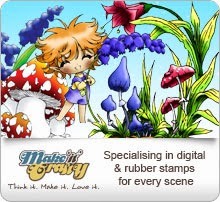 If you haven't seen Zoe's store, "Make It Crafty" you really are missing out. 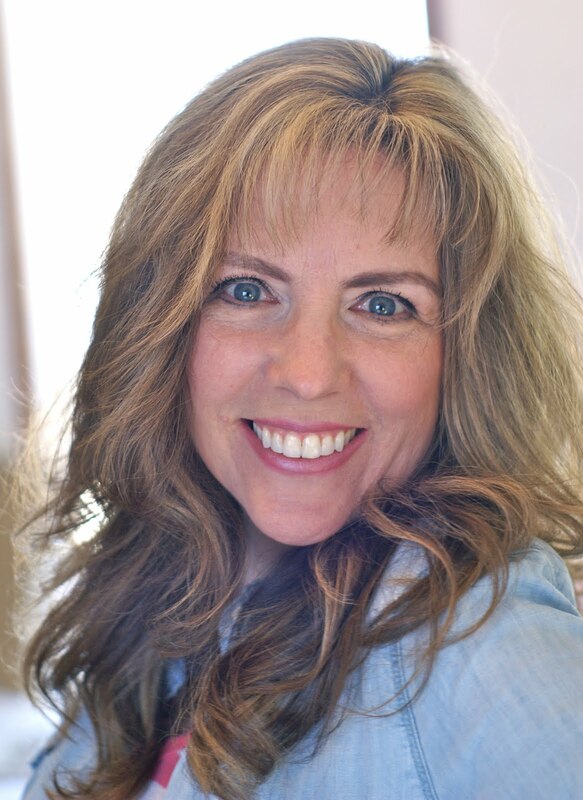 She has a ton of magical, whimsical images to choose from. 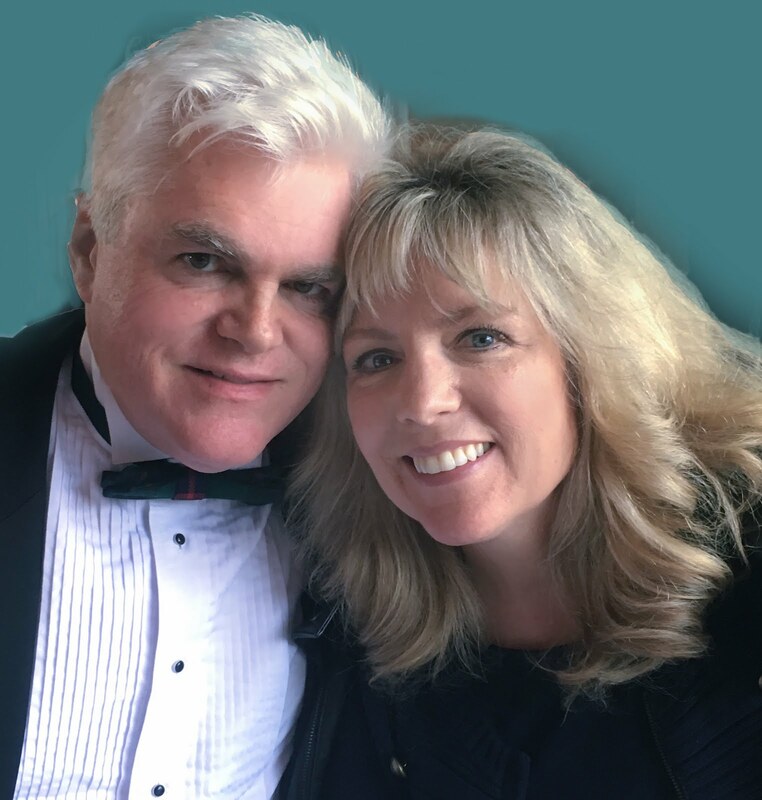 I made the "tons of thanks" sentiment on my computer. 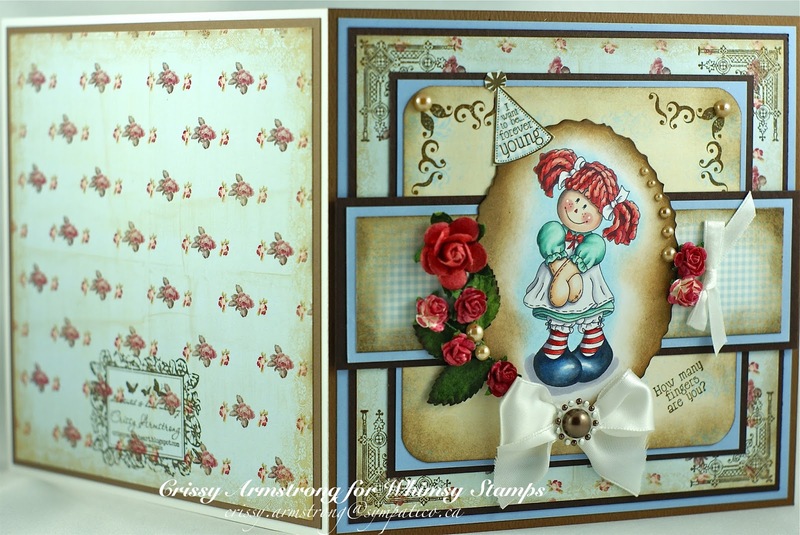 Country Heart Die also from Whimsy. Chipboard corners from Make It Crafty but discontinued. I was totally inspired for this card, and practically copied the layout of this stunning beauty of Mariska's right HERE. Please take a moment to go look at hers - it made my jaw drop! 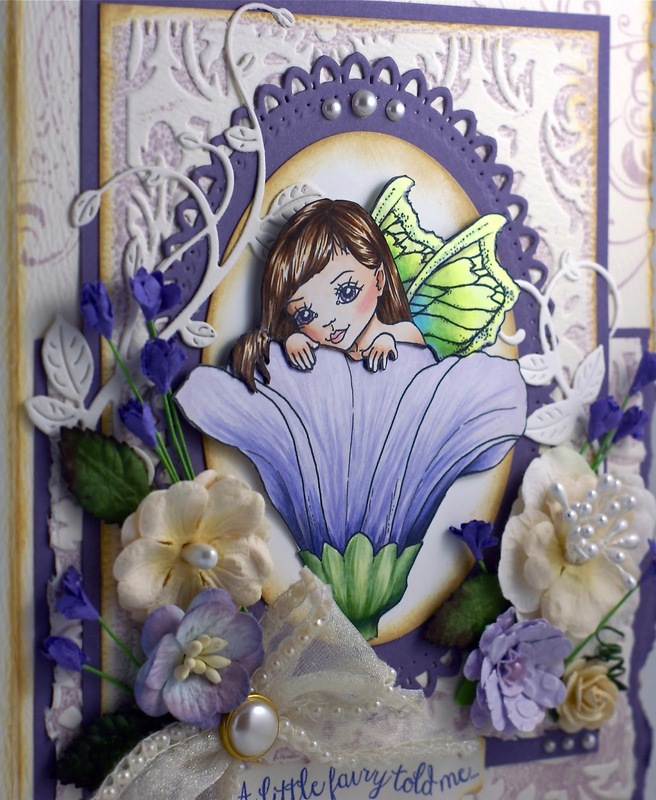 On my card I used my Fairy Daydreams image for Whimsy. I made some videos of my colouring on this image from start to finish. Find the first three HERE and the final one HERE. You can find all my colouring videos in the tabs at the top of this page (just under the banner). I tried Mariska's method of popping out portions of the image, but I didn't care for how my attempt turned out! So I re-coloured the fairy and cut her out a second time, and laid it overtop of the one that I botched. It was not easy cutting around her fingers (twice)!! Here is a side view to show how the image is lifted off the page. I glued the flower part down at the stem so it actually angles outward from the bottom up. But the fairy and the wings are also cut out, making 3 parts that I glued on separately. I made my own panels using Cuttlebug folders and Distress ink. I inked up the folder before I put it in the machine. I love how it turned out and will be trying this method again. 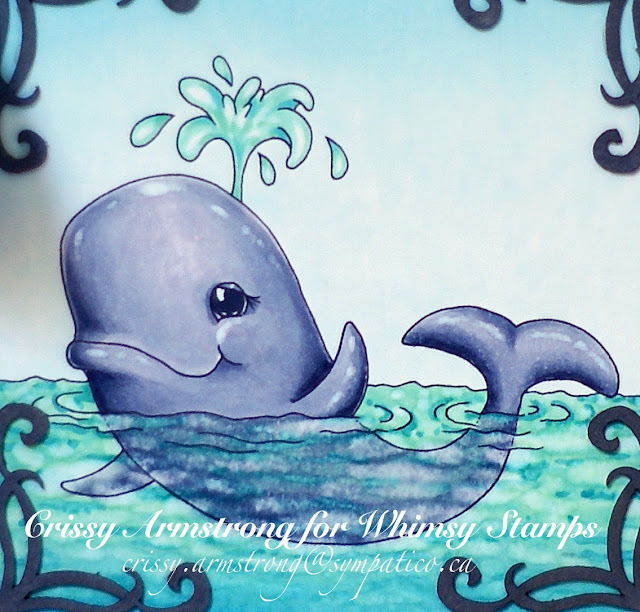 The sentiment, which is only half of it, was done by my Bestie Kathryne of Stampart Designs, also for Whimsy. Inside I put the other half to complete the sentence "its your birthday". This came from a set of fairy sentiments that she gave away on her Freebie Tuesday giveaway on Facebook. Thank you Kathryne! 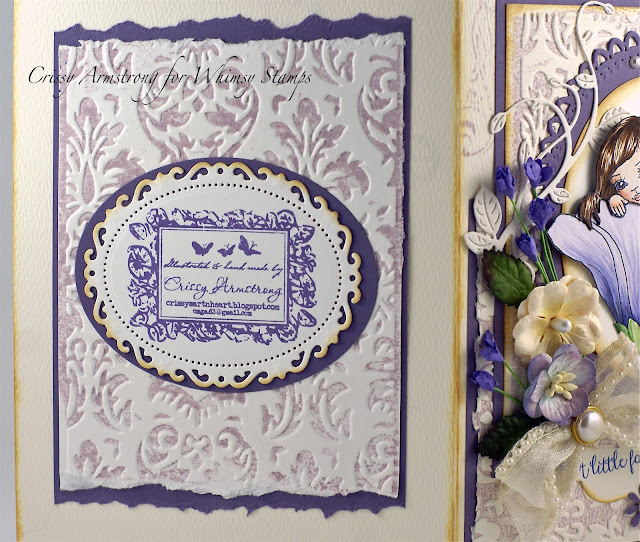 Also one of the purple flowers was a gift from fellow card maker friend Brenda Snider. Thanks Brenda! 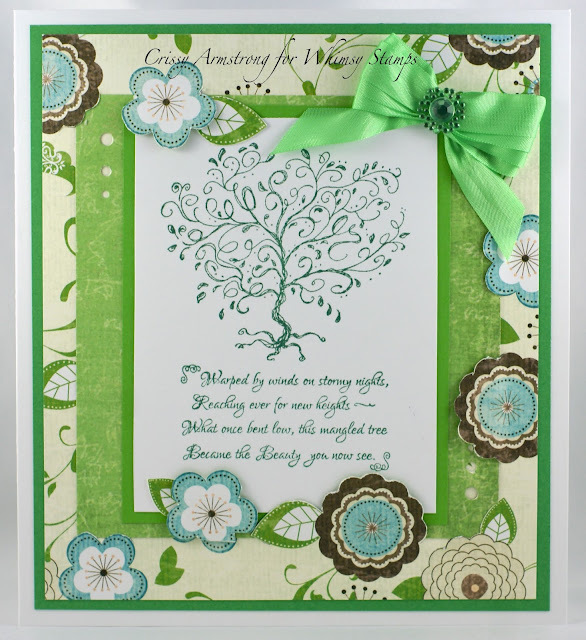 Die cuts by Whimsy Shapeology (Tab and Vines) and Spellbinders (ovals). I stamped Lavish Flourishes also by Whimsy, on the front of the card base. Thank you for coming by today! Bless you! Thanks for visiting today! God bless!! Hi Chilluns! This is a card I made using Stampart Design by Kathryne's digi stamp, Raggedy Girl - Adorably Yours for Whimsy Stamps. I gave this to Kathryne for her birthday. She is one of my bestest besties and has been for many years. I love her images and only wish I had time to use more of them. We are both basically still kids at heart, and our images reflect that. I adored the Raggedy Ann and Andy story books when I was young. Her series of Raggedy images bring back fond memories of reading those imaginative stories. If you want to check out her line (she has lots more than Raggedy dolls - quite a variety actually), go HERE. 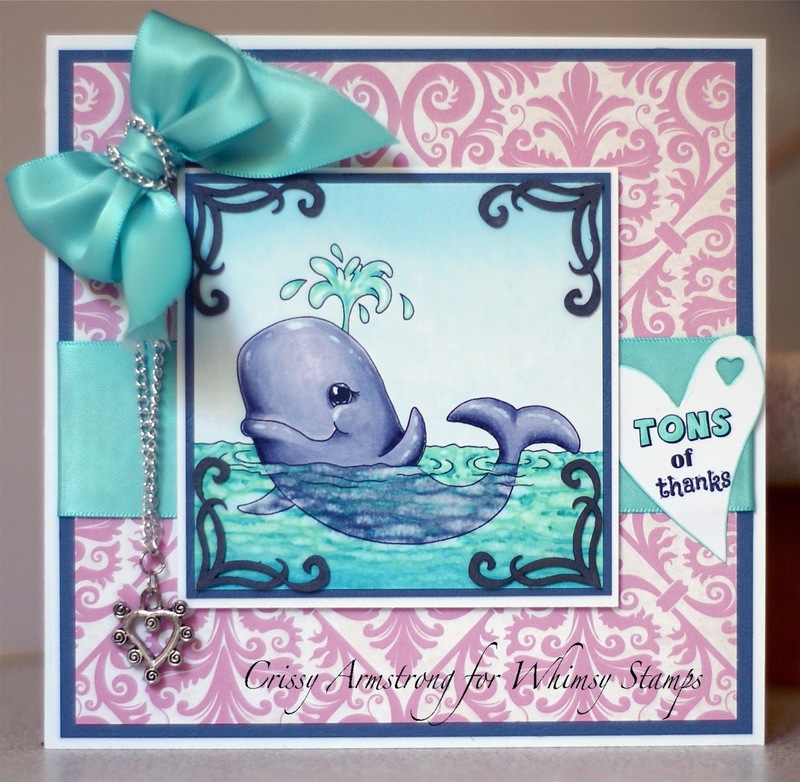 I love the Cottage Charms designer paper, also found at Whimsy Stamps. It has a few lined sheets, like the one I used on the inside. Perfect for writing out a personal greeting. I put so many embellies on the front of cards, it can make them front-heavy and sometimes they will topple. So I used one of the designer papers for the back of the card too. It just completes the card so much, plus it balances out the weight of the card so it doesn't tip forward. It looks more beautiful to decorate the back anyhow. Here is your close-up. Copic colours listed below. 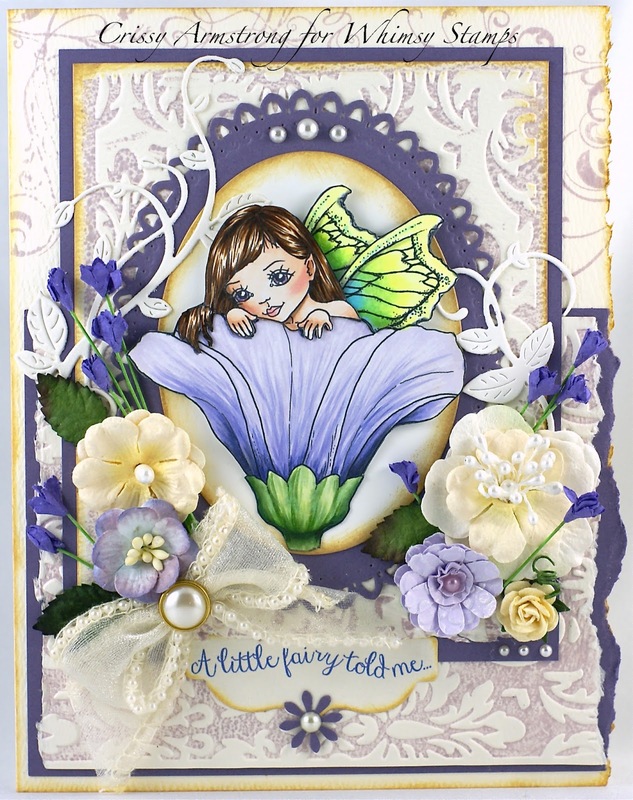 I have a new video series for you, in which I demonstrate how I colour my Fairy Daydreams image from Whimsy Stamps. I concentrate on teaching shading techniques. Learning to shade simply takes practice. I am by no means an expert, but I enjoy what I do and if you happen to like my style, you can learn from this demo. I hope I made it enjoyable for you to watch and learn!